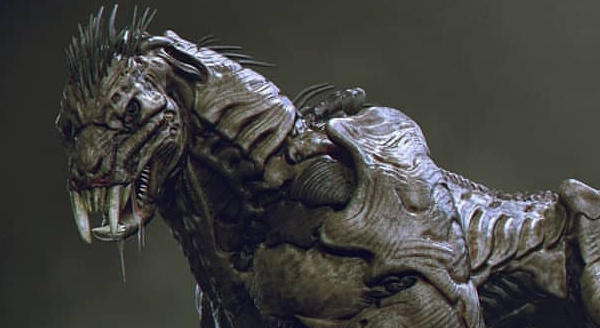 Concept artist Jared Krichevsky has shared a number of fascinating concepts from Shane Black's The Predator (2018) and most recently he's unveiled two additional pieces - one depicting a Human-Predator Hybrid as well as an alternative Predator Dog design. The Predators seem like they've been inspired by the Engineers from Ridley Scott's Alien expansion, given their new found interest in genetic manipulation and exploitation. Check out the concepts below and let us know what you think in the comments! We would have to ask WHY does certain Aesthetics from the Predator repeat in these though? 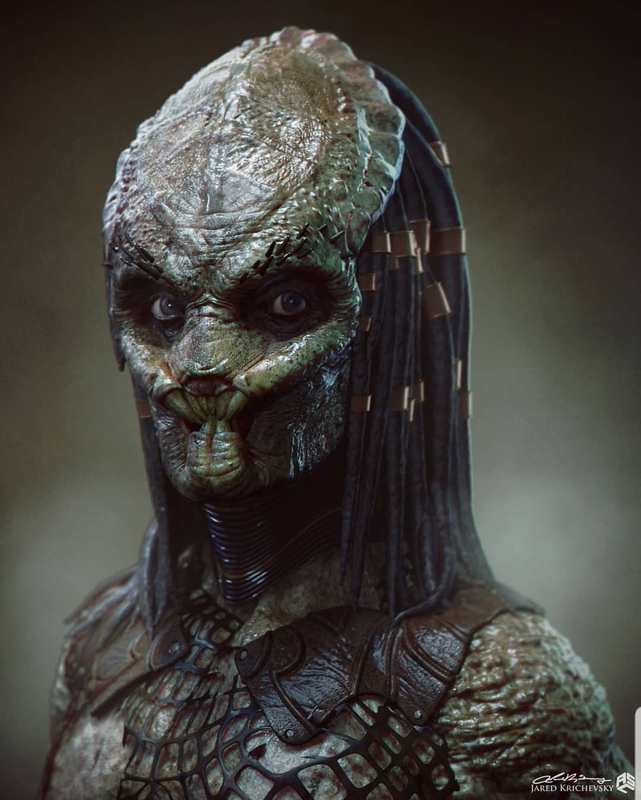 IF we are looking at Natural Occurrence as in this is how LIFE Developed on the Predator World... we then ask WHAT Evolutionary Advantage does the Mandible Teeth and Dread Locks have? 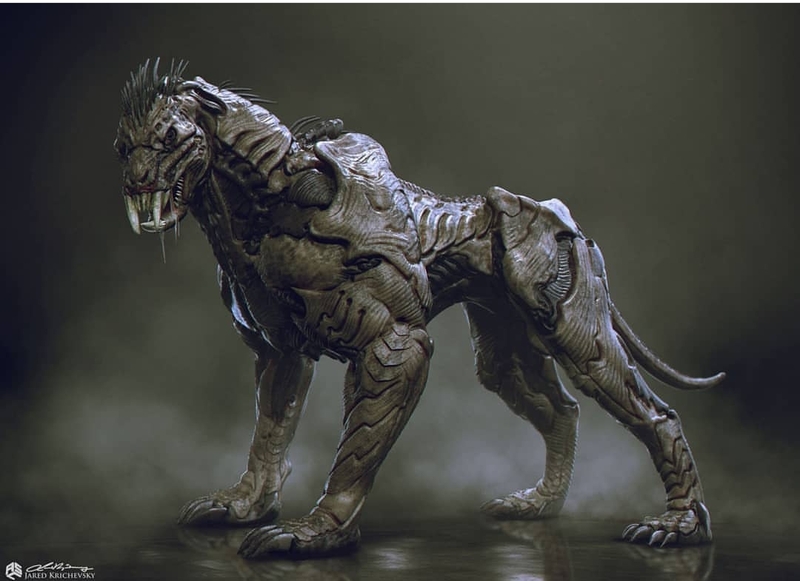 Or WHY would the Predators Engineer Species like this to have them? But ALAS... the True Answer is they LOOK Cool and are to allow us to make a connection that these are Creatures the Predators Created/Engineered or that they are Creatures that came from the same World as the Predators.